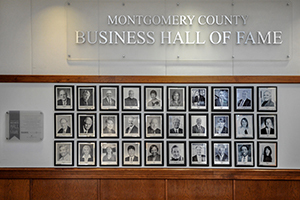 The eighth annual Montgomery County Business Hall of Fame (MCBHOF) wil be held on Tuesday, October 29, 2019 at The Universities at Shady Grove (USG). 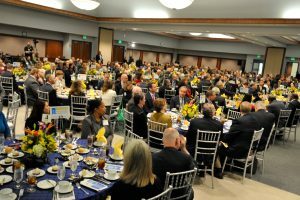 This prestigious event, co-founded by Grossberg Company LLP, CPAs and Revere Bank is a celebration of people who have made a positive impact on the Montgomery County business community. The four inductees for the 2018 MCBHOF were: Mark Bergel, Ph.D., Founder & Executive Director, A Wider Circle, Michelle Freeman, Owner & CEO of Carl M. Freeman Companies, Inc., Bruce H. Lee, President & CEO, Lee Development Group, Inc., Jorge Restrepo, M.G.A., CEO, EurekaFacts, LLC. Since its inception, MCBHOF has raised over $1,040,000 for the USG scholarship fund through donations and through the induction event. 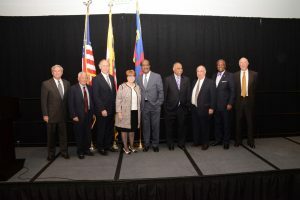 All net proceeds from the MCBHOF benefit the scholarship programs at The Universities at Shady Grove, the University System of Maryland’s regional educational center which brings nine Maryland public universities and more than 80 academic degree programs directly to Montgomery County. The same type of vision that led to the creation of USG – to do something truly unique and extraordinary – is the type of vision our honorees all share. Business Hall of Fame Luncheon! 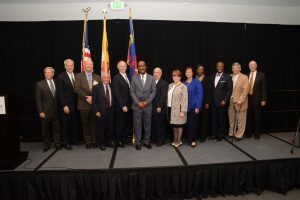 Net proceeds from the Montgomery County Business Hall of Fame will benefit the scholarship programs at The Universities at Shady Grove (USG), a regional center of the University System of Maryland.